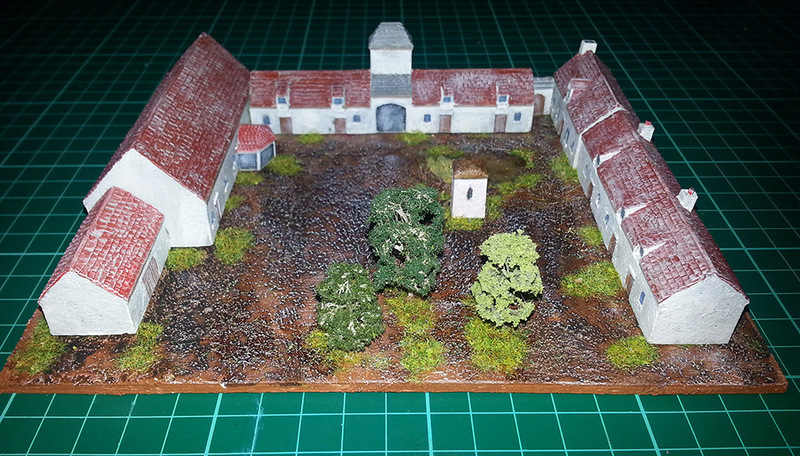 October sees the release of a new 6mm Napoleonic model from Leven Miniatures in the form of Mont St Jean farm, Belgium - the first of three new models due out to celebrate the 200th Anniversary of Waterloo. Mont St Jean farm is situated on the main road from the Waterloo battlefield to Brussels, and on 18 June 1815 was used by Wellington as a hospital to treat the wounded on that day. The only French soldiers who got near it were either prisoners or possibly some cuirassiers of Milhaud IV Cavalry Corps that may have entered the farm enclosure during one of the French cavalry charges that day. This rendered stone representation of Mont St Jean is hand cast in a paint-friendly ivory coloured polyester resin and consists of seven main pieces, one of which has an interchangeable roofing option, and a built footprint of roughly 175 x 125mm. 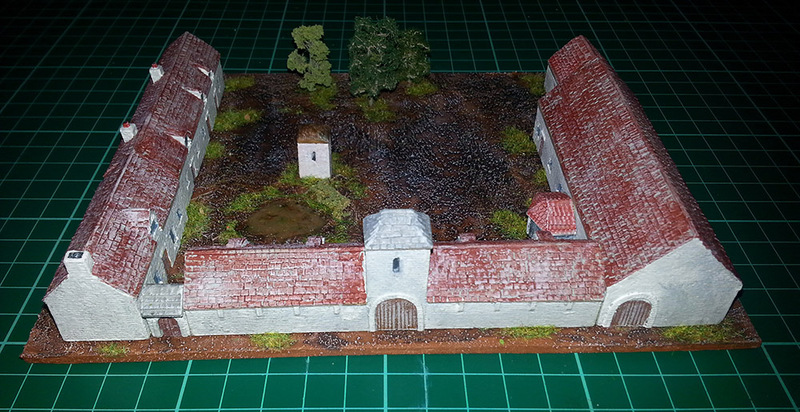 Other 6mm Napoleonic models due to be released in the near future include Papelotte and Hougoumont. This entry was posted on Friday, October 3rd, 2014 at 09:08 and is filed under News. You can follow any responses to this entry through the RSS 2.0 feed. You can leave a response, or trackback from your own site. very nice, i like the sympathetic painting, just sets it all off.